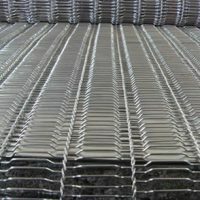 We supply a complete range of conveyor belts suitable for all types of industrial applications. Our services include on site installation if required. 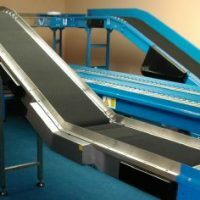 Applications for our belts include conveyors used in food production, light engineering, general manufacturing, warehousing and logistics operations and baggage handling equipment. 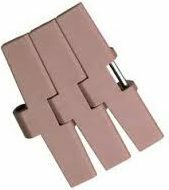 The range of conveyor belts we offer includes PVC Belts, PU belts, plastic modular belts and specially coated transmission belts used in conveying applications. 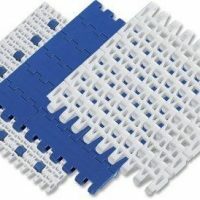 As an independent distributor we offer all of the major modular belting brands including Uni-chain, Scanbelt, Marbett, Intralox, Forbo, Habisat and Regina. Our services include free on site consultations anywhere in Northern Ireland. 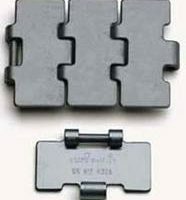 We also supply conveyor belt fasteners and belts fitted with tracking profiles or side walls. Please contact our sales office if you require a site visit or more information on any of our belting products. For sales call us on 028 92674137 or email your enquiry to us.